These jackets are rewarded by moderators (MODS for short), like Ari (in the pic), Bouncy, Xander, Lollipop and Poppy. People who aren't moderators can't give you these, even if they have the purple jacket! NOTE: don't ASK for a purple jacket. You must earn it. This ultra-rare item can't be bought and the only way you can get it is by showing the galaxy just how AWESOME you are! You also earn a badge! Heres a few tips to earn the Super Hero Badge and jacket! Help out the newbies of Little Space Heroes in finding a glow, showing them around other planets and general help where they need it! One of the most common places you can do this is Space Heroes Academy! 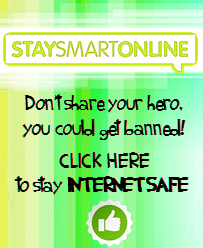 Be online very regularly! Always check around little space heroes for people that need help, and with questions like 'How do I become a member?' and 'How do I get a pet? ', always be ready to answer them! And follow the Space Hero Code! If you see someone not following the SHU code, report them! No bullying or mean behaviour! Guess what?! I saw CHRISDOG in DIVE SPOT! He told me he will give me PURPLE JACKET but he doesn't have yet, then he said he was still collecting form MODS,then, THE KMOST EXCITING NEWS IS....HE ADDED ME! I was like "OMG! OMG! HURRY PLEASE!" Someone forgot the oldest (longest standing) hero Lol! He has been in the Universe since very early Beta! You had better put him on Crew! Lilia its me "alien X" i have help hundreds of glows get all the color of gems get all the animals help hundred of girls and boys and aliens too but i don't have a purple jacket!! LOL Woops my bad! That's awkward xD! ok i will not tell.. I made heaps of comments on this page but i got another two people that I know has a purple jacket. hey i have to be in the purple squad cuz i have a purple jacket u dont forget me lillia right? I think iHugs has a purple jacket too! i want to be in the purple squad please add me please. lillia what are you and riza talking about? please tell me please. you cant be in the purple jacket squad if u dont have a purple jacket! lillia my bff super hero also have a purple jacket! I have a purple jacket.Can you add me? WOW that's great Tejas! Don't worry, just keep helping heroes, and remember here's a little tip... to get the moderators to notice you a bit more, send feedback to the team with new ideas and telling them about the bugs and glitches in the game! NEVER GIVE UP! That's a great Idea Timbo! However, there will be too many to list by now, because it is included in the Promo Package the newbie heroes get when they log off. I have found two glitches and i have also made a video of it. HEY HOW ABOUT ME IM FRIENDLY I STAND UP TO BULLY LIKE PHINEASE HE WAS HURTING MY FRIEND HE WAS KEEP ON TELLING THAT HE IS A MEMBER AND HE IS MORE COOLER THAN HIM AND I REPORTED HIM! ._. Mix up max didn't rember hitting u on the arm ._. !!! Thanks soooo very very much for the support lillia i sure hope so u can be the hero of the week!!!! I help Newbies in the Academy by telling them answers they don't know. P.S How does the purple jacket appear? Does it say you have a new item in your closet? P.P.S I get mixed up with other choco! P.S am i closer to getting a purps jacket? Awww... Do you have to pay to make a weebly? IF U MEET THIS GIRL REPORT HER NOW OR SHE WILL SAY BAD WORDS TO U TOO. Ari is real cause i friended him :3 any who, there is this guy who got kicked in the face by my dads football and he hates him. Maybe it's just the country you're from? I think Samaria told me Chrisdog changed his name to Cube and I saw him last time! Why doesn't anyone put Lol on? He has a Purple Jacket. i have a purple jaket on little space heroes my name is lorna im a member on little space heroes a guy was mean on little space heroes he said girls smell so i ignored him and he was in a PURPLE JAKET OMG HE WAS NOT NICE AT ALL WHY DID HE HAVE ONE LIKE NO FARE IM ALWAYS NICE AND I HAVE ONE BUT WHY DOES HE ? ps I am a member !!!!! You forgot someone her name is Rose she have a purple jacket! yeah You Forgot Me To Put There Lillia And The Updates Will Be Super Awesome! Rose has a Purple Jacket and so does this alien I met called DrewBoy. Finally, Last Call for putting Lol on! Lillia i saw batman have a purple jacket! I can back it up by saying that he wore it during Chocolate's 5000 viewers Party. Rose- I made a mistake, sorry I didn't know you had school. What about missy? She has a purple jacket too! OH YEAH, I've seen missy and yup it's true she has a purple jacket, but I'm not sure why, though she DOESN'T have the 'Super Hero Badge'! WEIRD HUH? And also she's a friend of mine, she has another hero with a purple jacket too :p that's why I didn't include her, but I'll add her up anywayz! Missy? I have never heard of her Alyssa. Huh, I don't think they will need us Purple Jacketed heroes in 6 months time. ooh ok! Thanks for the heads up noah! It's amazing heroes like you that keep this blog with up-to-date-info!! Lillia i saw u on space heroes wit amy and im Fatiha XD didnt u see me? OOH ya I saw you! lolz, we've been having some WICKED parties online hey! Lillia can you add me to this list? Wow 3 colums of awesome heroes who have purple jackets thats FANTASTIC!!!!! Is there any shortcuts to get the purple jacket?? Just be in view of a mod, I guess, and be nice and helpful. Sort of a cheat, but I have not tried it, because I have not met any mods anyway. I got it suddenly, without me even meeting a mod. I had been working in the Academy, with GGstar, (Who has a Jacket)(Alien version) annoying me. I didn't know at that time (How to get one), because GGstar wouldn't tell me. If I met GGstar now, I would scold her for not telling, cause it is supposed to be our job, right? However, I saw on the Space Heroes Fan Club about the jacket, then I met Timbo! He was nice, but it was only luck that let me meet him. He was homer's friend. He taught me and encouraged me, and then I basically got it! most heroes now get the jacket WITHOUT meeting moderators! WOW AWESOME! cool guys I've added you to the list :) CONGRATS!! oh and im a boy. Wow Lisa i saw it!!!! but i thought ur member forever hero cant be opened coz u forgot ur password and user?? Hey chocolate it's me your friend Gracely,how could I get free purple jacket? And when is the beta starts? How many days do you get the purple jacket??? Lillia guess who I am? OOH OOH I KNOW!! Ur the COOKIE MONSTER! lol jks jks... ok I'm thinking Chloe, Rose, orrrrr lisa?? I HAVE NO IDEA! That was not me! That was someone else. Maybe anonymous? Wow lots of people who got purple jacket. OK WOW, THAT'S HEAPS OF WRITING! In times like this, I'd probably make a RUN FOR IT and go follow some other friends online so they can help u with the situation! (philippines, pampanga time) we have a meeting like we will have an extra jacket by helping many ppl then becoz im nice soo much to them they gave me a membership for one month only i was soo happy i could owe them all of my things i couldn't be happy!!!! WELL FOR ME BE NICE AND KEEP REPORTING BAD HEROES STAY STRONG! hey guys i know a very smart glitch i think (for purple jackets only)i got my purple jacket on this. Hey Lillia guess who am I? Don't u think its me?? Lillia- I have seen kc before with a Earn Rewards Suit, but never with a Purple Jacket yet. ok um FIRSTLY, having a purple jacket has NOTHING to do with winning membership. And secondly, he had the purple jacket even BEFORE he won it. lol guys, why is everyone so against cold heart?? he's done NOTHING WRONG! so please guys, STOP hating on cold heart! That's also a warning to heroes who are being rude to others, cuz the mods WILL know! I don't get it Lillia...but lillia what level is cold heart and when he gets it? Copyright 2013 SHU Fansite. Powered by Blogger.